When Marlene Dietrich was asked to appear in pro-Nazi propaganda films in the early 1930s, not only did she refuse, she also called Hitler an idiot in the press and almost immediately applied for American citizenship. One of the biggest and highest paid actresses of the period, Dietrich became among the first in Hollywood to help out with the effort to raise funds for war bonds after the fighting was underway. 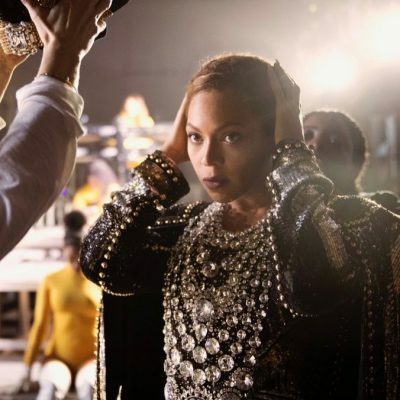 She performed for 18 months overseas for the troops on tour with the USO, sometimes near the front lines. The German actress even recorded an anti-Nazi album in her native tongue for the Office of Strategic Services (the predecessor to the CIA). It was played over German channels to reduce the morale of Hitler’s forces and apparently it did. Dietrich’s work for the government makes me feel pretty certain the image—featured in the exquisite small exhibit Marlene Dietrich: Dressed for the Image —of her being held on soldiers’ shoulders while kissing a GI arriving in New York Harbor was staged. You know to make Germans wonder if they were fighting for the wrong side. Whatever the case may be, the American government was grateful for all Dietrich did to help out. 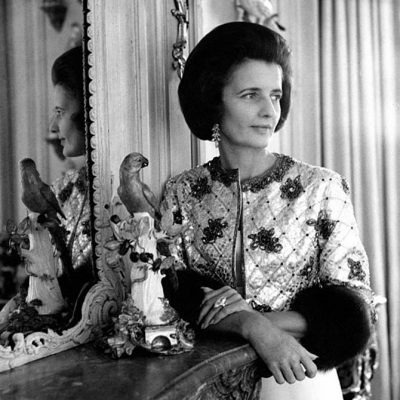 On November 18, 1947, she became the fourth woman to receive the Medal of Freedom, the highest American distinction for civilians that is now known as the Presidential Medal of Freedom. The actress said it was the accomplishment she was most proud of in her life. Dietrich received another jeweled gesture of gratitude, when she was fighting for another cause entirely. During the early 1930s, the actress became famous in Hollywood for wearing men’s suits on screen and on the town. 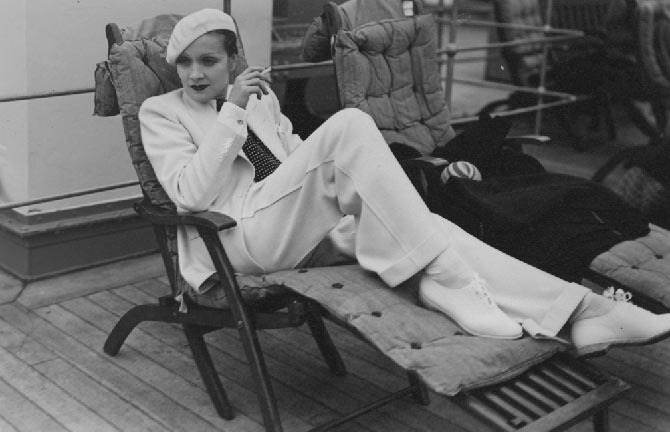 When she was photographed on board the SS Europa en route to France in 1933 wearing a white suit, the Paris police sent a warning that she would be arrested if she wore menswear in the City of Lights. 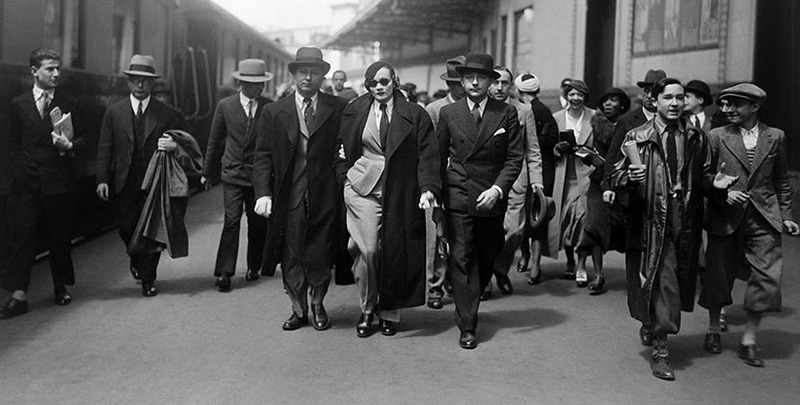 Dietrich disembarked in a tweed suit complete with a tie, overcoat, beret and sunglasses like a total boss. She was not arrested. It’s interesting to note the ensemble was similar in style to an outfit Blake Lively breezily wore in New York last week. While Dietrich seemed totally cool on the pier when she arrived, clearly she was grateful to be left alone by the police and allowed to dress the way she wanted. As a gesture of her gratitude, the actress attended a police charity event in Paris hosted by the wife of the head of the police, Jean Chiappe. The theme of the party was based on a popular German film Der Kongreß tanzt set in the period of the Napoleonic wars. Dietrich put sugar on top of her appearance by bringing along the star of the movie, one of her former lover’s Richard Tauber. 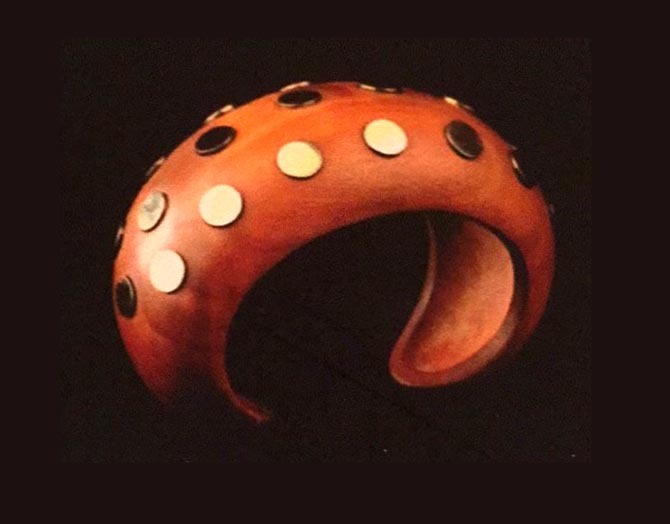 As a thank you gift, Chiappe gave Dietrich a sandalwood cuff bracelet accented with gold discs. The piece could have been by René Boivin. It bears a striking resemblance to the designer’s Tranche style in ivory identified on The French Jewelry Post. While the sandalwood jewel was not on a par with the gemmy jewels in the movie star’s celebrated collection of bold pieces, she surely treasured it.